Redesigning and simplifying Salmat’s product portfolio, building a unified communications strategy and tapping into customer data are just some of the things on the list for the catalogue and marketing services company’s first CMO. 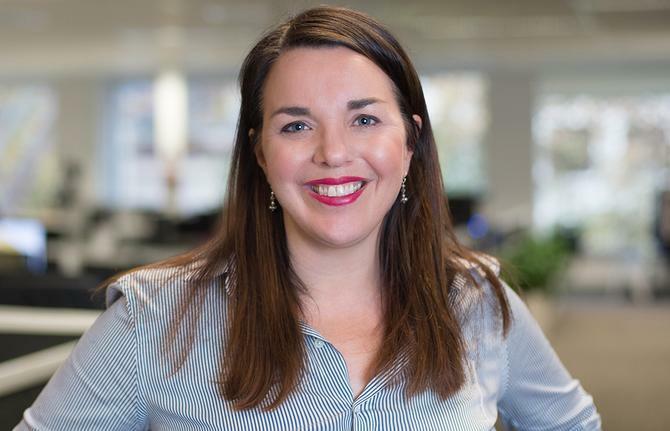 Sarah Pike came on-board as the first chief marketing officer of Salmat in April, and joined the company from Optus, where she was VP of marketing. She is responsible for all marketing strategy as well as establishing a clear framework and process for building and maintaining Salmat’s products and services. Pike started her career in the UK working in the telco space for BT, before switching to several dotcom organisations in quick succession. She then became a founding executive and marketing chief for telco startup, TalkTalk, which came out of one of large UK phone retailer, Carphone Warehouse. The business has since grown to more than 3 million customers. Pike returned to BT to lead SME products and marketing and assist with brand repositioning, before being headhunted by Optus and making the decision to relocate to Australia. She first led product management across consumer and SME segments as VP of product marketing for consumer, and was involved in designing shared data plans. Her most recent work was on transforming Optus’ consumer broadband business. Pike told CMO one of her first priorities at Salmat has been to group marketing activities into three key areas. The first of these is simplifying its product strategy and proposition. “It’s fair to say that Salmat has been hiding its light under a bush,” she said. “Most people know the letterbox business, but if you tinker underneath, there’s so much more on offer. It’s a rich portfolio – almost too rich, as we have so many services. For example, we send 6.5 billion multi-channel interactions per year across our catalogue business, email, SEO, SEM, contact centres, email and field marketing. Based on this assessment, Pike’s second priority was reviewing and simplifying the 120 products and services on offer from Salmat into five key product areas: Letterbox (incorporating the catalogue business); contact centres; digital (including email, commerce, search and promotions); local marketing; and field marketing. With no united marketing budget or centralised marketing team, marketing activities were previously distributed around the company, Pike explained. The goal is to use all marketing activities as an opportunity to demonstrate Salmat’s expertise, Pike said. The third priority over the next six months is to reinvent Salmat’s brand image with customers and prospects. “We have a fantastic heritage but the market largely sees us as a junk mail and catalogue provider,” Pike said. “We need to look at how we drive a radical reorchestration of our brand in the market. We’ve done this work internally and yes, we need our people to be change agents and advocates for the brand, but we also need to do this with our external story. Data will be key to getting both the messaging and customer proposition right, and Pike noted the huge array of customer interactions data Salmat collects as a goldmine for insights. “We have that data but we don’t do anything with it. We have to start from scratch, build data and insights capabilities and help our customers optimise interactions with their customers,” she said. Pike also flagged significant changes to team structure in line with her plans. As well as consolidating marketing into one function, she’s putting the emphasis on customer insights, analytics and strategy. Alongside this, Pike plans to have a team focused on customer communications, as well as a corporate communications function focused on maximising media channels and promoting its story externally. Pike readily admitted her intentions are ambitious and will require significant transformation as a business. One of the things she claimed has helped is that Salmat’s executive team is fully behind the need for rapid change, as well as marketing taking the lead on strategy. Pike pointed out most of the executive team has changed in the last 12 months. “With these sorts of transformations, getting the whole executive team to sing the same song can be challenging, so to not have to argue the case makes this role a breath of fresh air,” she said. While each executive represents an ally for a different reason, Pike highlighted the triumvirate of marketing, sales and operations as vital to achieving her objectives. In fact, Pike claimed there was a blurring of the line between the CMO and COO long-term thanks to the customer service-driven nature of marketing today. Having formalised her objectives, Pike said one of the first milestones will be Salmat’s full-year results announcement in mid-August. “This will give us the opportunity to show the bold steps being taken in repositioning the organisation,” she said. Over the next six months, Pike will also work on redesigning Salmat’s communications strategy, with strong emphasis on an “always-on” approach. Pike described her role at Salmat as less about marketing, and more about growth and potential. “It’s as much about our future strategy and building a portfolio of products as well how we go to market,” she added.